WWE knows exactly how to swerve the fans; just when the WWE Universe had lost hope of The Undertaker returning anytime soon due to him not appearing at WWE Wrestlemania 35, The Phenom showed up on the RAW after Wrestlemania 35 and showed Elias that WWE is still his yard. We had reported that The Undertaker may have signed a new deal with WWE, and may be brought back as a prominent WWE Superstar again. However, as per the latest reports, WWE has added an interesting new stipulation on The Deadman's WWE Contract. 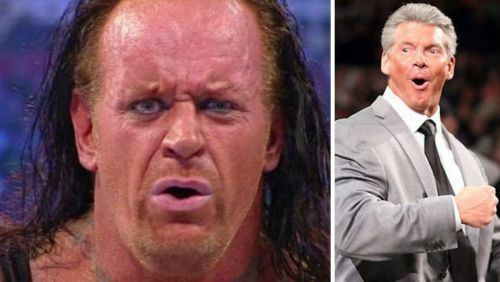 The Undertaker was not a part of Wrestlemania 35, much to the disappointment of most WWE fans who were expecting The Phenom to make an appearance even if he was not competing at the event. The Undertaker, however, could make an appearance for Starrcast, which is not a WWE event. As per Dave Meltzer of Wrestling Observer Radio (via Cagesideats.com), WWE has been trying to keep Undertaker from doing work with outside promoters and he may have signed a new deal that says he won’t. This indicates that WWE was not happy with The Undertaker making appearances for other promoters as The Deadman is one of the biggest faces in WWE and almost a household name, and Vince McMahon would not want his competitors to take advantage of that. While it is highly unlikely that the former WWE Champion will be present at this week's RAW or SmackDown, there have been reports stating that his next match will take place against Elias at WWE's next Saudi Arabia show. WWE Rumors: WWE doubling up on contract offers?